I was wrong when I wrote this. A year and a half ago, I ignorantly called e-readers The Emperor’s New Clothes. Today, it is I who stands naked before you. To be fair, I still buy printed books. But only because I’m a cheap skate and I like being able to pass my favorite books on to friends and family—can’t do that with my Kindle. That said, e-readers are a great way to own hundreds of classics for free, not to mention the occasional contemporary book bought on discount. Not only that, but Kindle is a wonderful way to read literature. 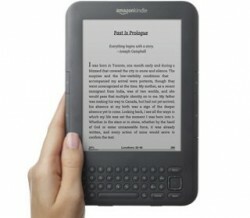 New prediction: E-readers, will in fact, replace the majority of books (but not all, they will stay niche like pencils).